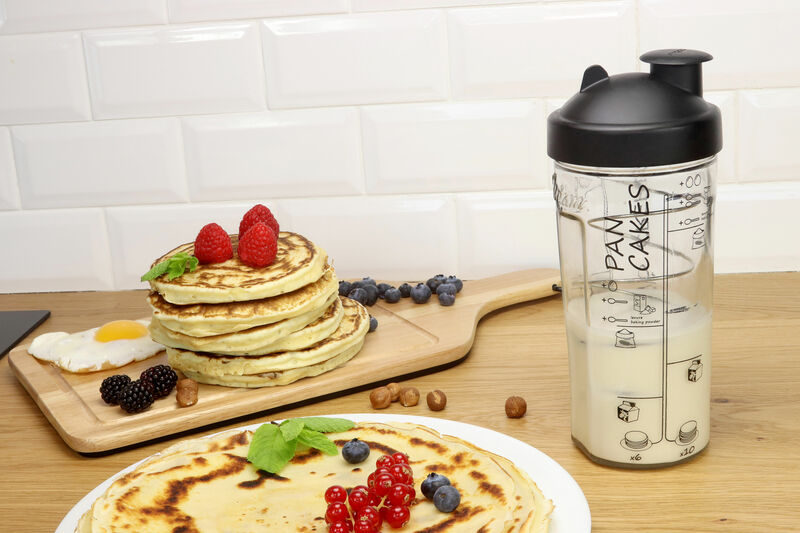 With Miam, no need for a food processor or whisk to make a delicious home-made pancake batter in the blink of an eye! 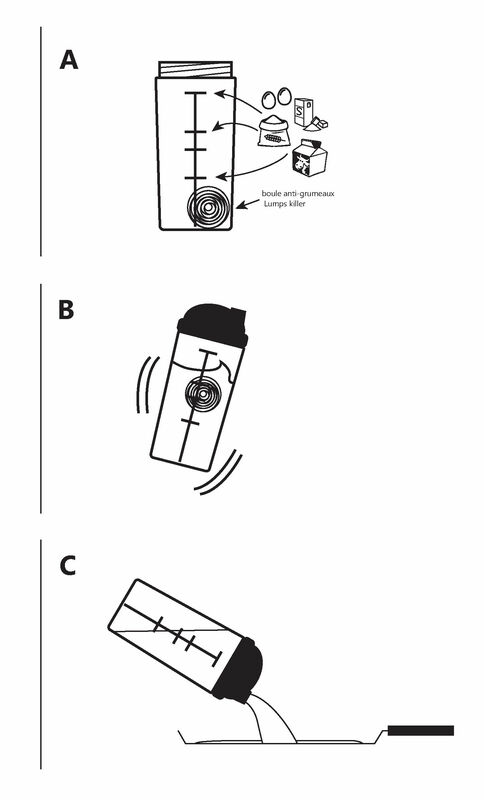 This simple but ingenious system consists of a graduated glass jar with a ball that, when shaken, will remove any lumps. 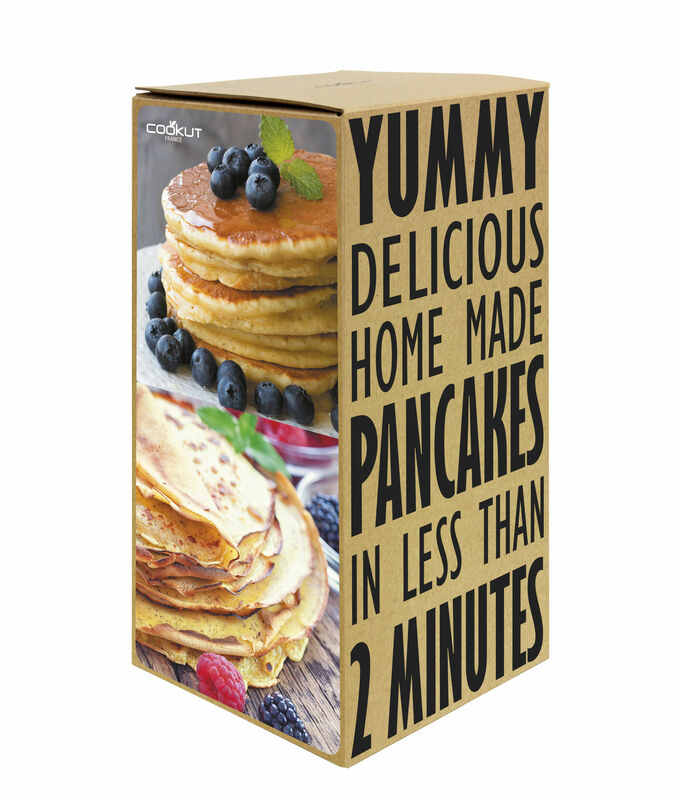 Your batter will be ready in just 2 minutes! 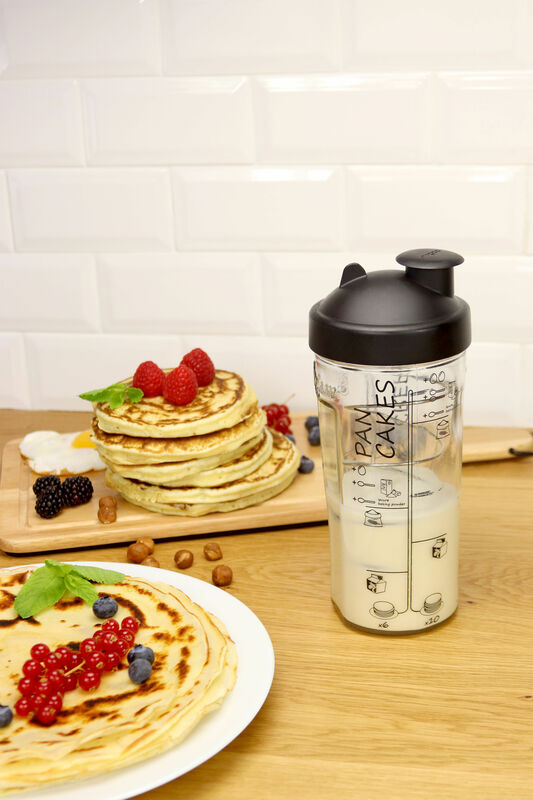 The lid is equipped with a pourer and filter, so you can pour your perfectly smooth batter directly into the frying pan and without dirtying your cooker. 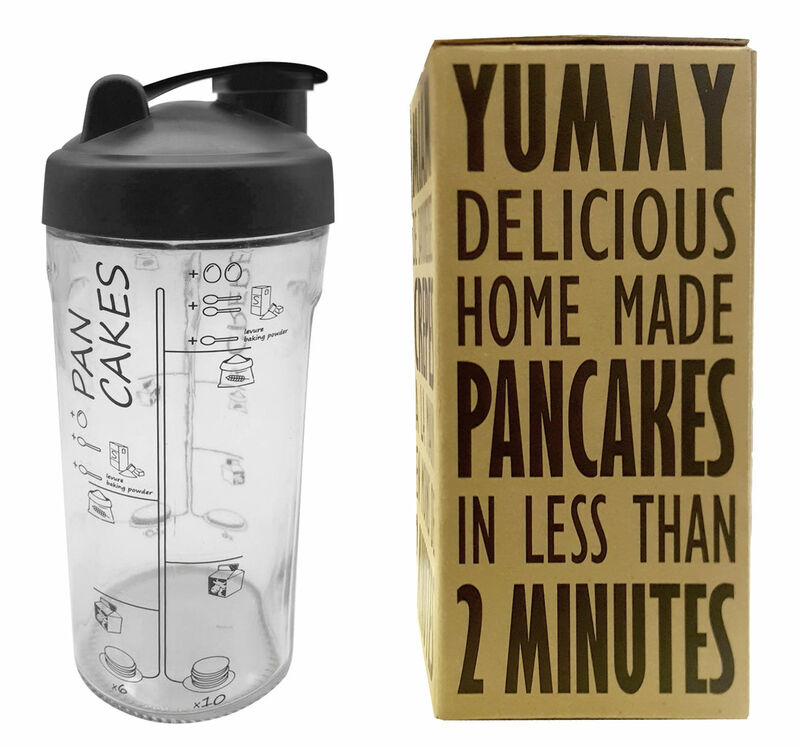 Ultra-practical, its hermetically sealed lid allows you to store your batter in the fridge. 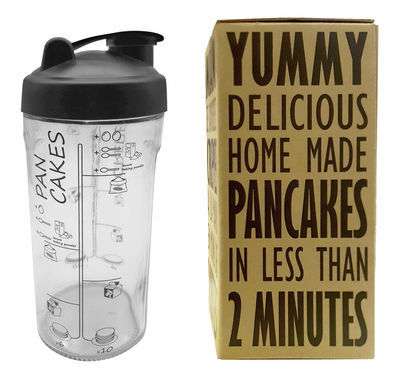 Two recipes have been printed on either side of the shaker. Simply add the ingredients in the indicated order and amounts. Close, shake, and you're ready to go!